The spread of spiritual light through the preaching of the gospel and the publication of the Bible had a powerful effect on Western society. It produced such things as great ideas of human liberty and government, social progress, the modern missionary movement, modern science, and beautiful music. It even had a powerful role on the formation of the English language. Today this history is being rewritten and obliterated. The Bible and its great influence on European, British, and American history, its role as a primary force in “Western Culture,” is being downplayed or totally obliterated. 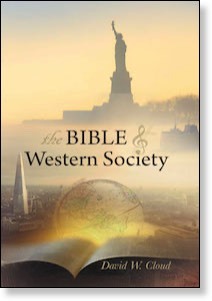 In spite of the brazen attempt to rewrite history, there can be no doubt that the spread of spiritual light through the preaching of the gospel and the publication of the Bible had a great impact on Western culture and produced such things as the English language, great concepts of human liberty, social progress, modern science, and beautiful music. - America a Christian Nation?